Loft area bedroom with two twin beds and bean bags!! Due to the new Lodging Tax, all summer rates have been reduced $100/wk & cleaning fee is included! This modern, completely renovated condo unit is set in an old converted barn offering ultra modern, retro furnishings and an overall great space!! It is located in a fun, family-oriented community with fabulous landscaping and a built-in pool. 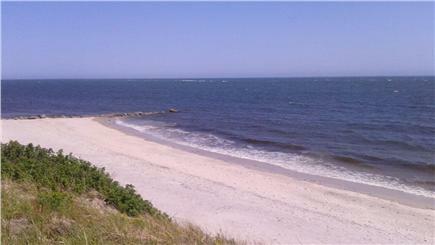 It's also a 5 minute walk to private Wyndemere Beach, plus moments away from Harwichport Village shops. 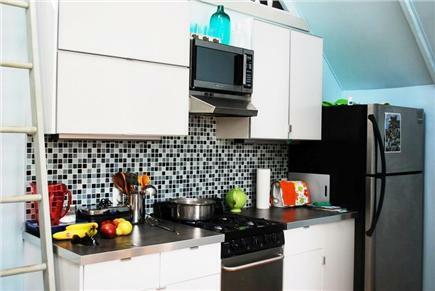 This condo has high speed internet, modern fully equip kitchen, Keurig coffee machine. A 20 ft high ceiling, multiple ceiling fans, three skylights and a 46'' flat screen TV. 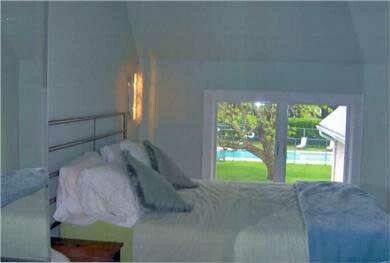 The first bedroom has a queen bed, lots of storage and a giant window that overlooks our lush garden and pool. 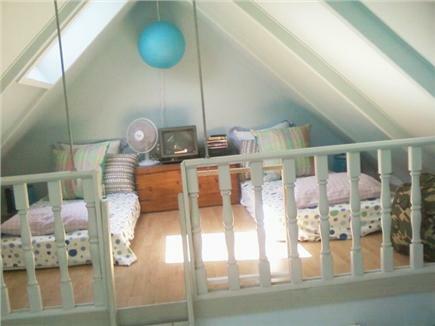 The second bedroom is a loft, with two twin beds, and most appealing to children. 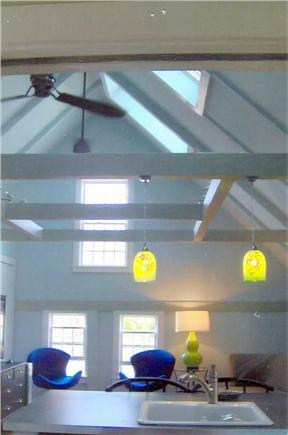 The kids will love the loft as it has a separate ladder, bean bags, and a skylight. The condo is also full of board games etc for your use. 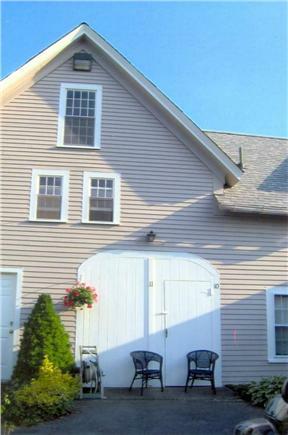 The property is located in close proximity to go carts, bumper boats, batting cages, and the Cape Cod Rail Trail bike path and National Seashore. Home of the Harwich Mariners minor league baseball. The private beach is private to residents only, so there is no parking, but it's only a 5 minute walk. Our beach ''Wyndemere Beach'' is on the Nantucket Sound, the quiet/calm side, and typically not crowded at all. There are several public beaches close by, too, including Bank St. Beach (Harwich) and of course the National Seashore (a Must-if you've never been to Cape Cod) which have facilities. Additional availability info: for most accurate info on availability call 617-479-1311. This is a Saturday to Saturday vacation rental. Additional pricing info: 100$ discount for multiple weeks, State and local taxes of 12.45% will apply. We got a very warm welcome from the owner (Cathy). The condo is bright, clean and well equipped. It was perfect for 2 adults and a teenager. Location is awesome: it is just a short walk to the beach and to shops and restaurants. Pool was a real bonus. All condo neighbours were really welcoming and friendly. We had a wonderful stay in Cathy's condo last July! 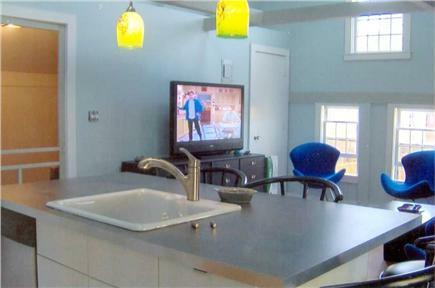 It is exceptionally clean, well decorated, and in an ideal location! My family loved the swimming pool, the beautiful beach just a short walk from the property, and being able to walk to shops and restaurants. Be sure to check out Sundae School, Ember, The Hot Stove, and Dr. Gravity's Toy Shop. All are just a short walk from the rental. There are also some great bakeries and coffee shops that we frequented during our stay. This is an ideal rental for a couple or small family if you are looking for a home walking distance to the beach and town! The pool was an added bonus! 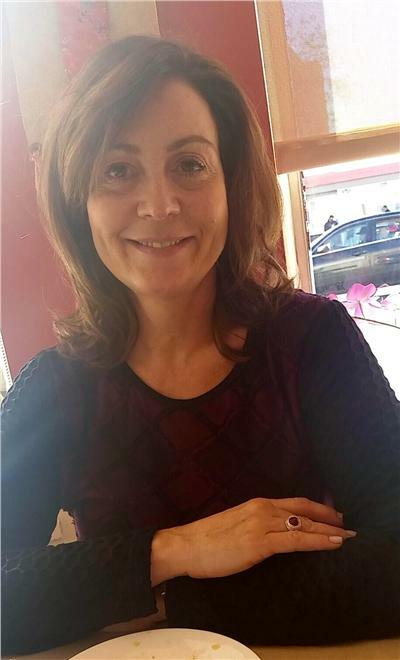 Cathy was also extremely easy to work with--we would definitely rent from her again! Our first time staying in Harwichport was awesome! Loved the location. Short walk to beach. Awesome restaurants nearby. Pool was great and always clean. Condo neighbors were really nice too. Condo was so clean and neat. Would definitely recommend. Perfect location and perfect condo! My daughters and I had a wonderful stay!!!! For our first time in Cape Cod we had the chance to stay in a very nice place! You'll feel at home in Cathy's loft. We stayed two weeks with 2 children (3 and 6). Everything is very near: groceries, restaurants, sea, swimming pool, etc... We were very welcomed by everybody, and it was a great discovery! My girlfriend and I chose this great condo for our stay on the Cape. 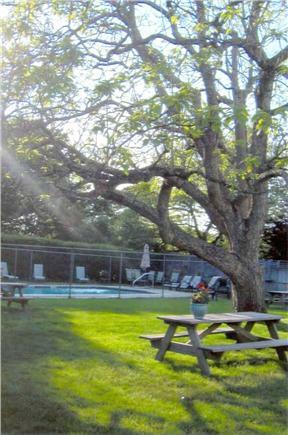 It proved to be the perfect home base In the perfect location for our day trips to both Martha's Vineyard and Ptown. 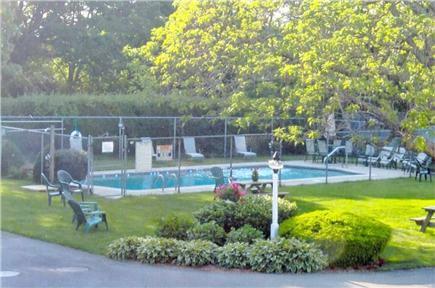 The condo is located in a quiet and relaxing town that is only a few minutes walk to both the beach and Main Street. It's very spacious and has great natural lighting. 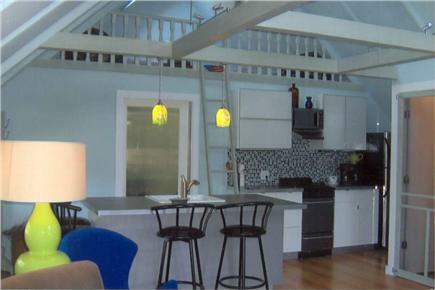 There is also a cute loft for kids/extra people that is accessible by ladder in the main room. Cable/Wifi service was perfect. We liked the movie selection, as well as the variety of board games in the closet. We had everything we needed to make this place our home. There is a great liquor store nearby for you to put the wine glasses and corkscrew to good use. We also highly recommend dinner and cocktails at Mooncussers Tavern, which is less than 5 minutes away. Glad you had a great time and were able to enjoy the islands. The location is pretty close. I have yet to try Mooncussers, but it is on my list. Hope to see you again. This condo is perfect for everyone. It looks and feels like a luxury boutique hotel. Everything you need for cooking, playing and relaxing is at your fingertips and the closet is STACKED with games. There is always something fun happening on Main Street, and the beach is a just quick walk from the condo. The space is bright, airy and tranquil, and there is plenty of space in the yard to play and picnic. Hi There. Thanks for taking a look at my property. This is a unique condo in residential neighborhood. It was at one time a motel. It was converted 35 years ago, and many of the original owners still reside there in the summers. There are 23 units in total. My unit was at one time an old barn and is separate from all the others for a bit more privacy. I adore the Cape, with all of its charm especially the gorgeous national seashore, adorable little towns,and the bike trails. What I love most about my condo is the non traditional cape cod décor. Its modern, has an open space, high ceilings and great vibe. And that fact that I have a bit more privacy is nice as well. The town of Harwichport is lovely, and a very short walk away ( 10 minutes at most) There are many little shops, and restaurants, bakery's, coffee shops with outdoor fire pit, and a natural smoothie store. They have a weekly musical stroll where many of the stores have wine and cheese tasting, and live music playing in a few different areas. It is very quaint. The Harwich mariners baseball league, the national seashore and the bike trail are all close by.